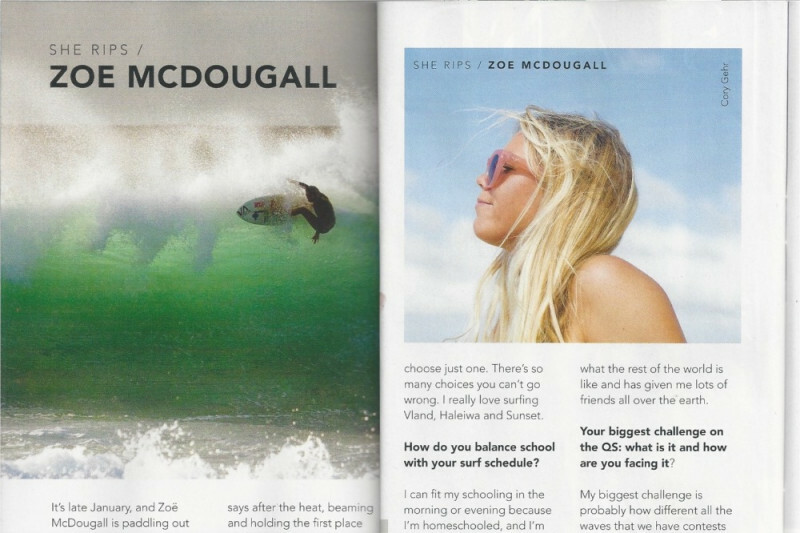 Zoe McDougall is an eighteen year old pro surfer from the N.Shore of Oahu Hawaii. Presently Zoe is competing most of the year internationally. The costs are very demanding and substantial. She keeps it as affordable as possible. She is very grateful for the sponsorships she does have and loves representing them everywhere she goes. For most of Zoe's life reaching this level has been her life focus. Yet, finding enough financial support for the necessary travel has been a constant challenge. 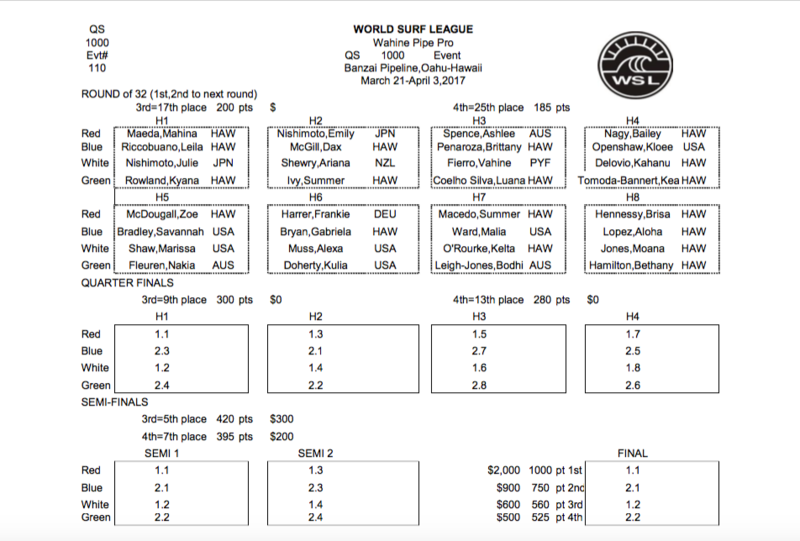 On the WSL Qualifying Series alot of international travel is required. Zoe does have some great sponsors that help with this financial demand but its still well under what is required. From a young age Zoe has been focused on her training, surfing, schooling mostly on her own without coaches or parents at her side. Yet, for a real qualifying push to reach the Championship Tour, and the top of the rankings on the Qualifying Series more support would be very beneficial. 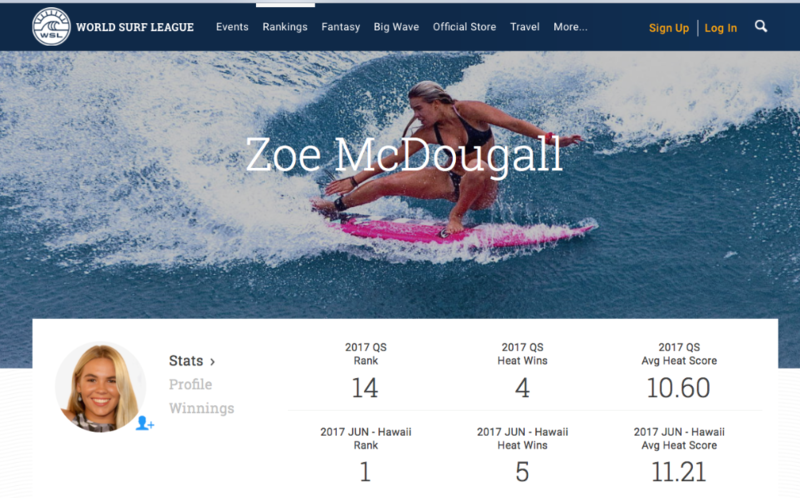 Connect to Zoe's public athlete facebook page for event updates, news, interviews, and her instagram Zoe_McDougall for daily images along the journey. Thank you Bill and Deb ! You have been a few of my best supporters and I am so grateful. 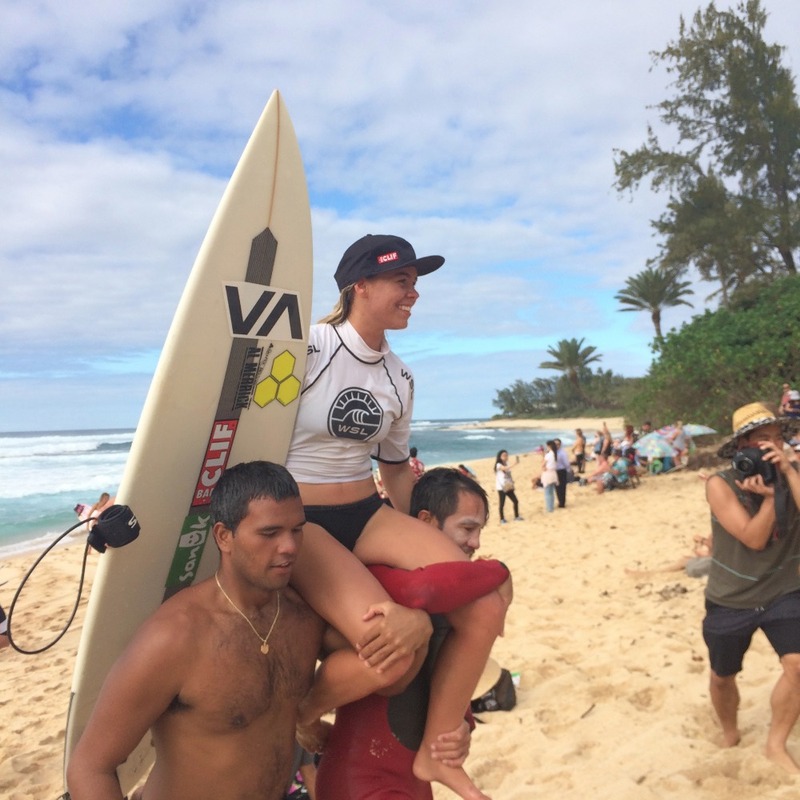 Zoe now in Tahiti QS & Jr. Pro .